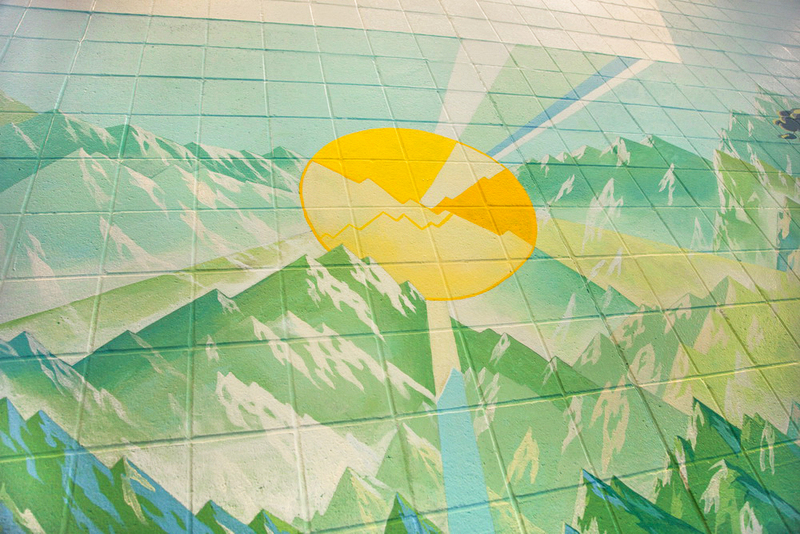 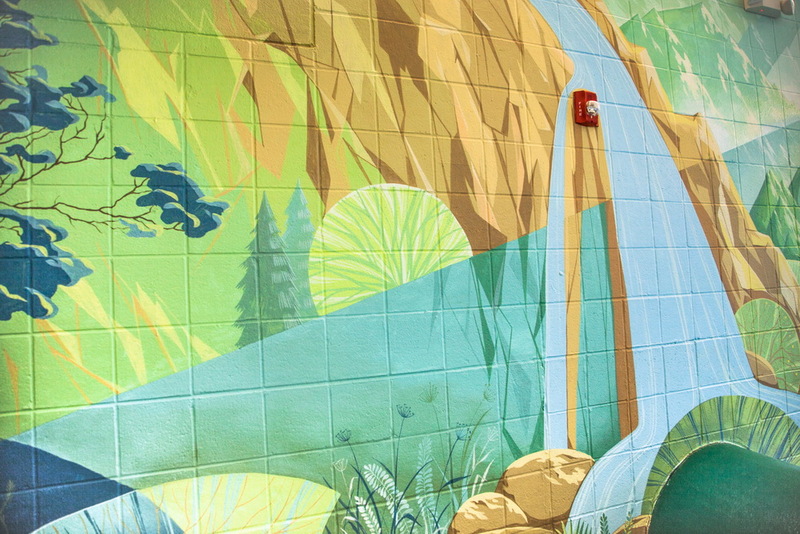 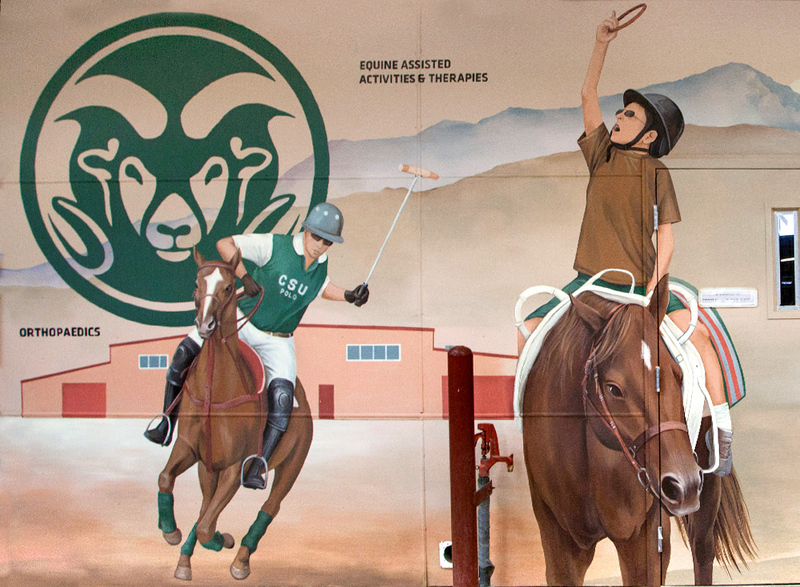 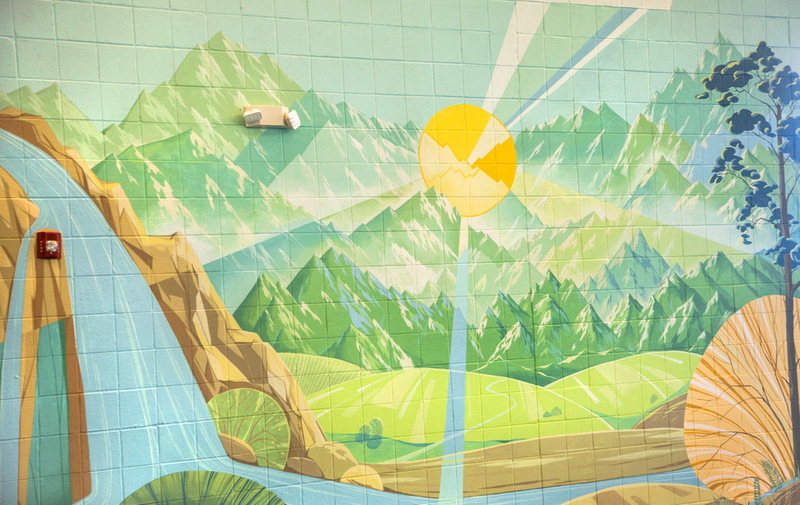 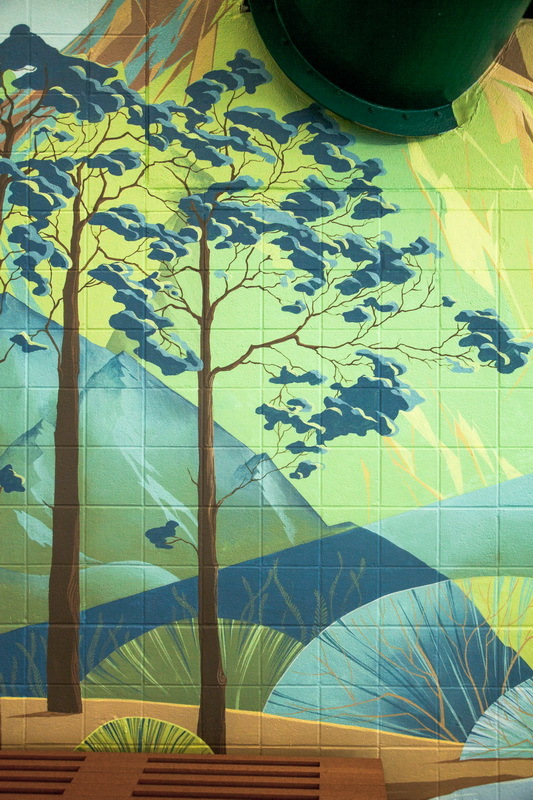 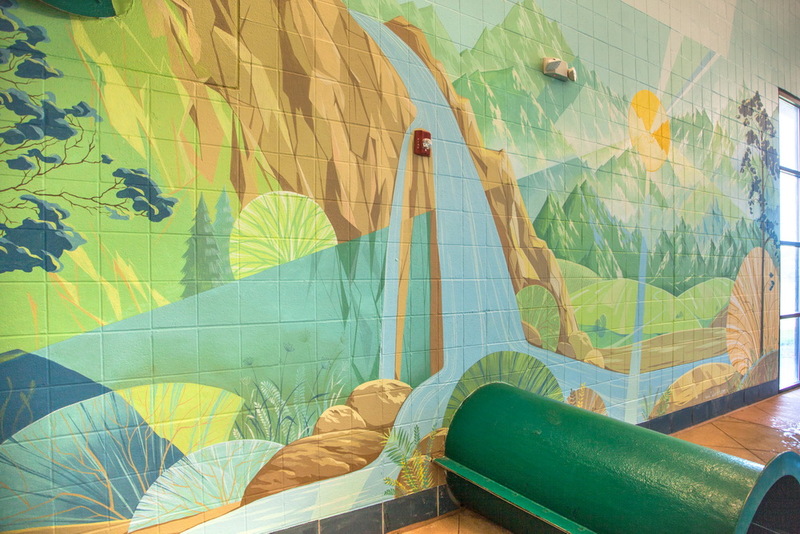 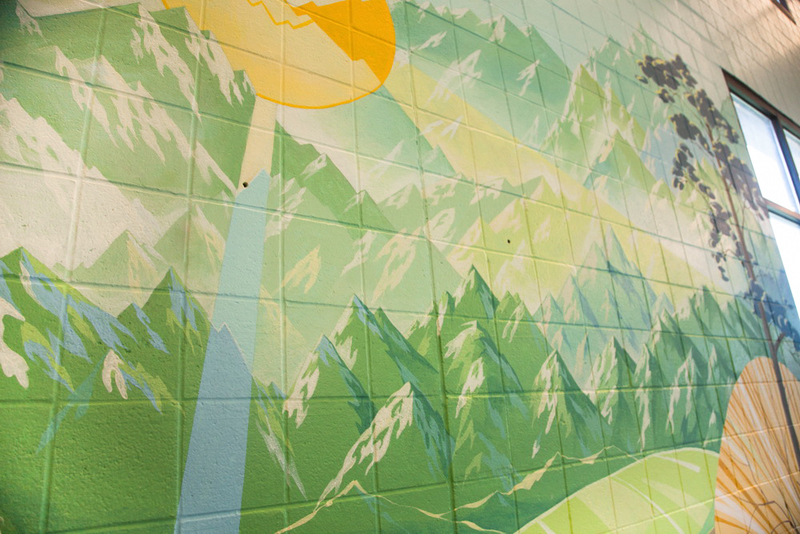 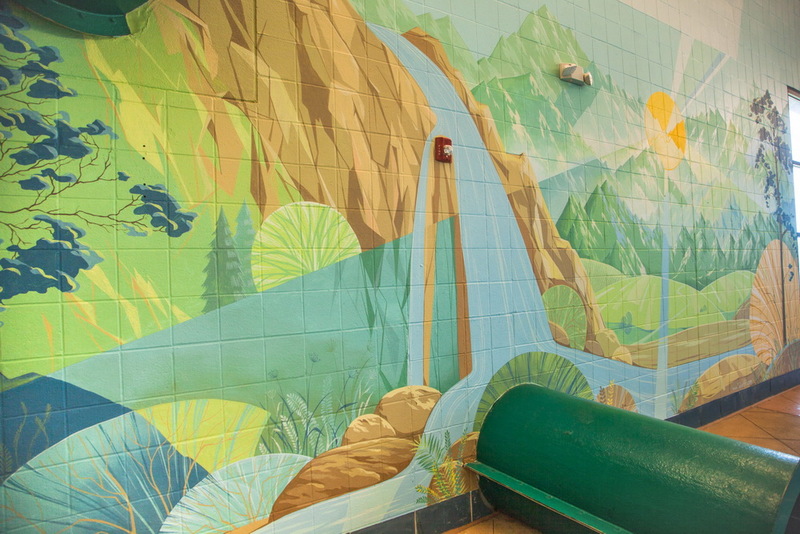 The mural depicts a landscape of Colorado, green fields and plains, mountains in the background, pine trees and sunshine. 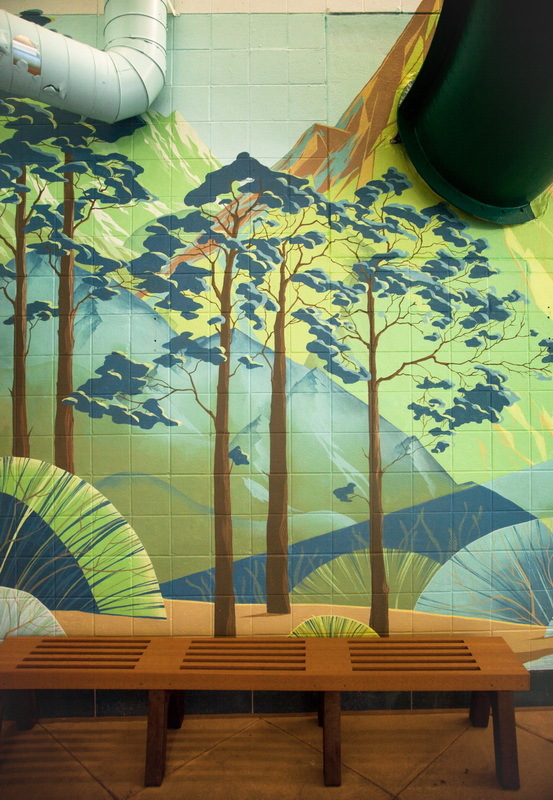 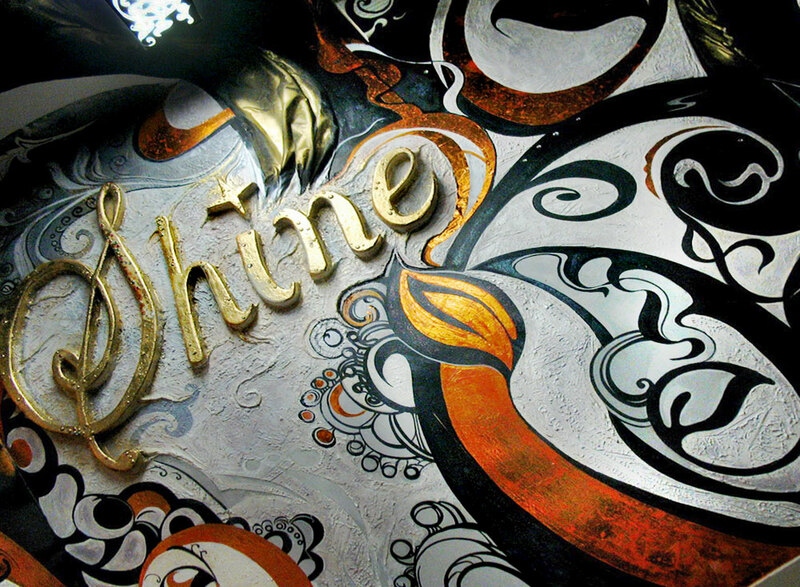 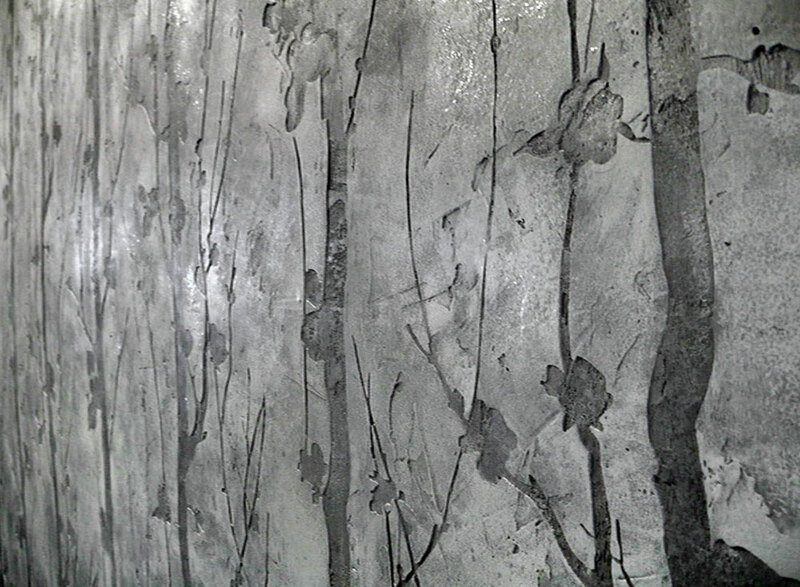 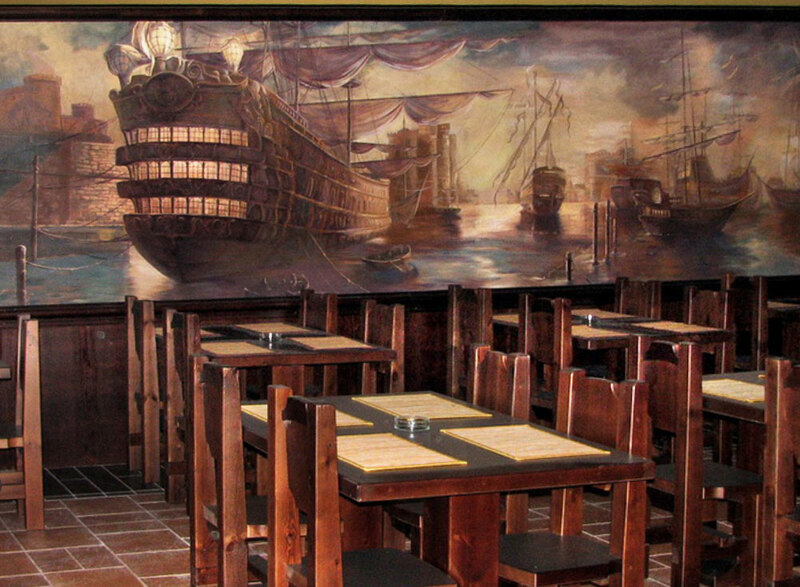 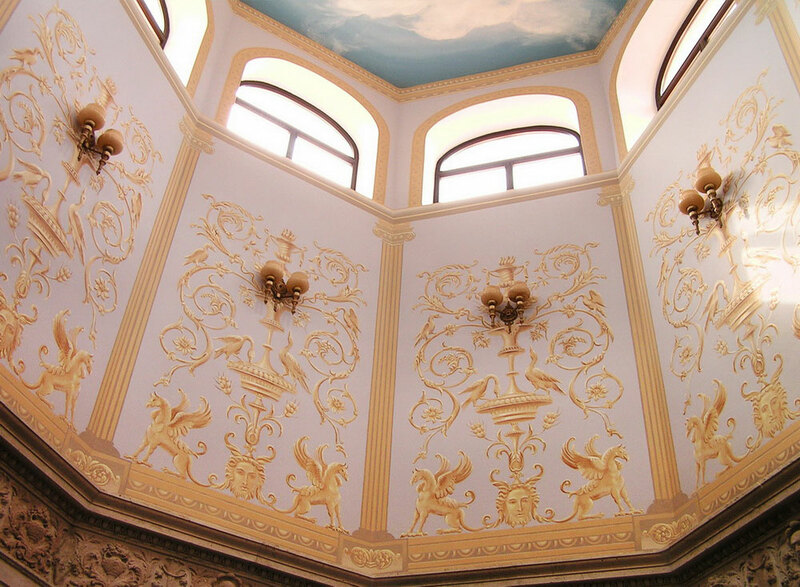 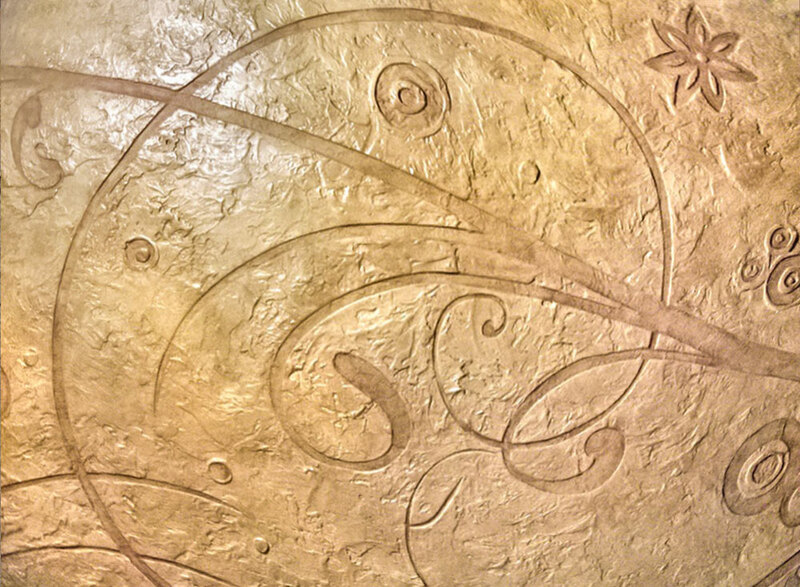 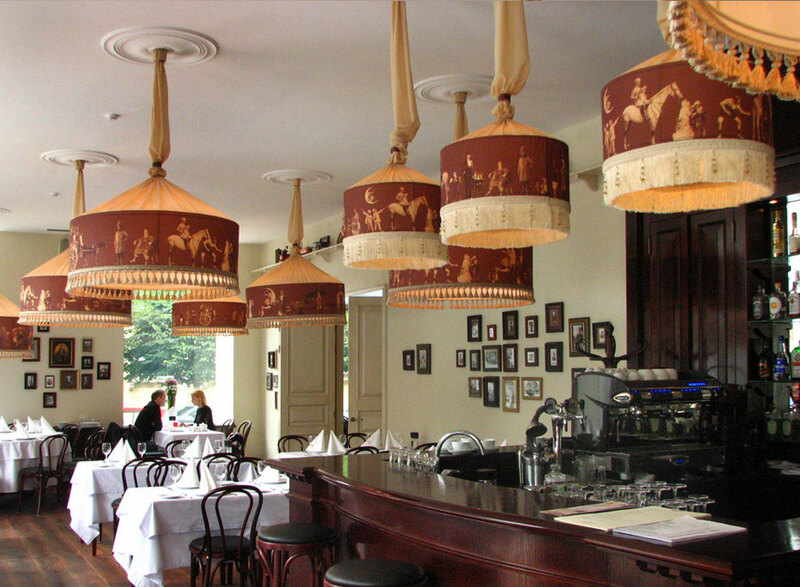 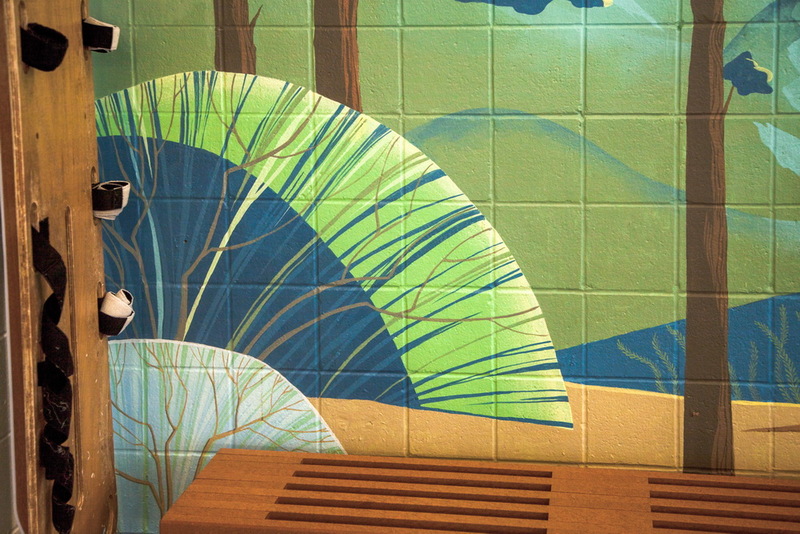 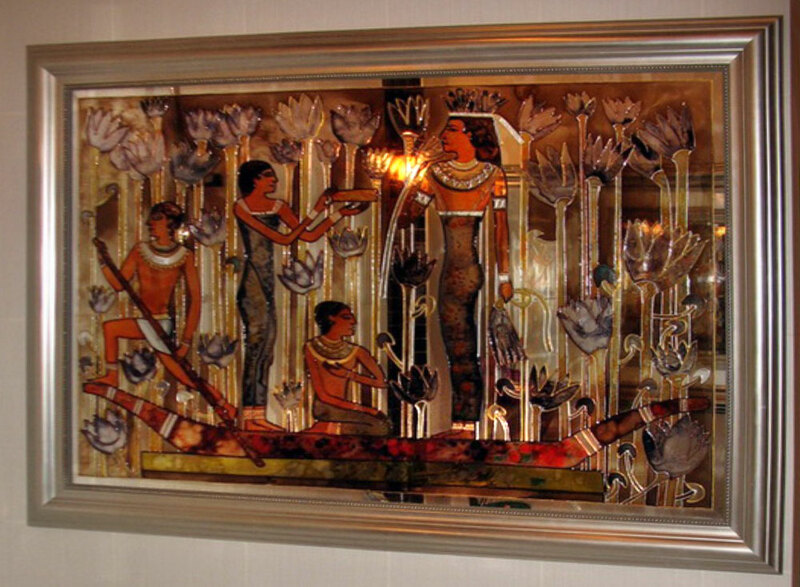 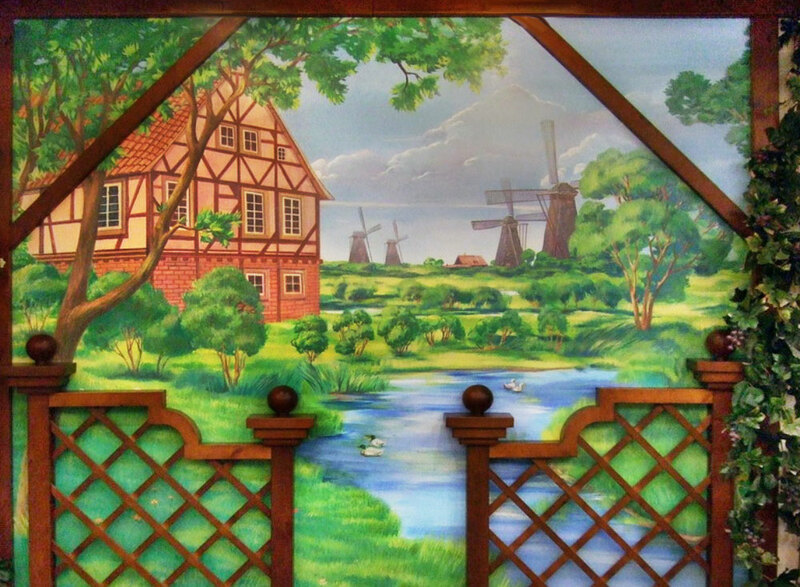 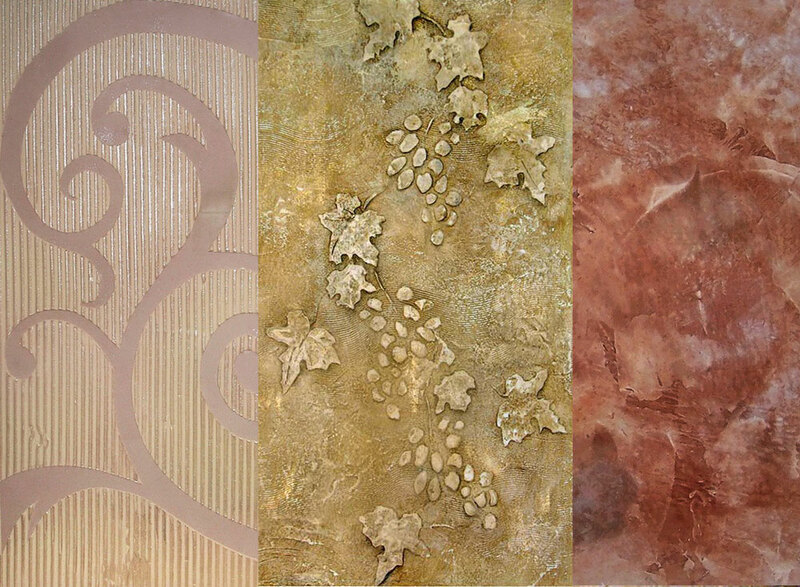 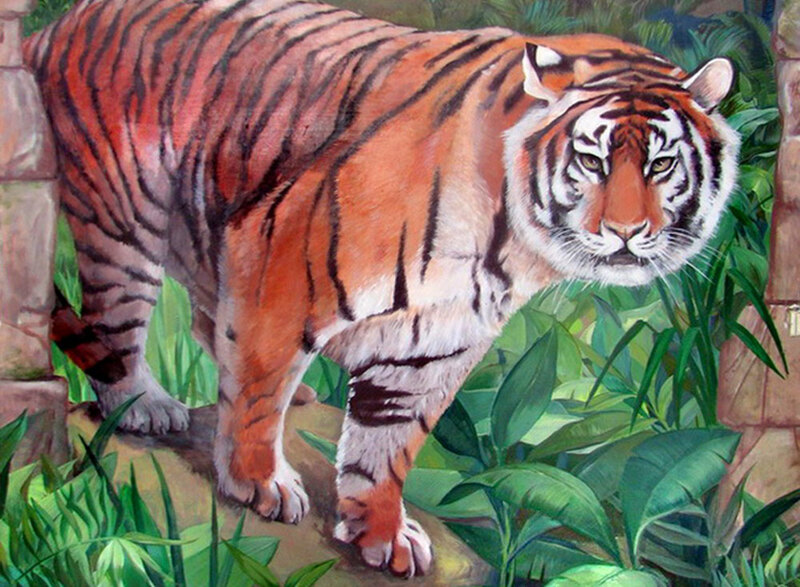 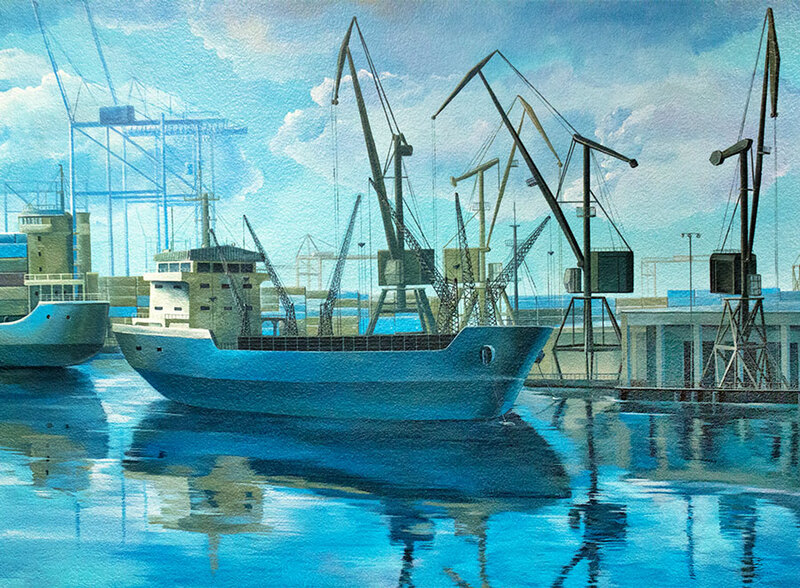 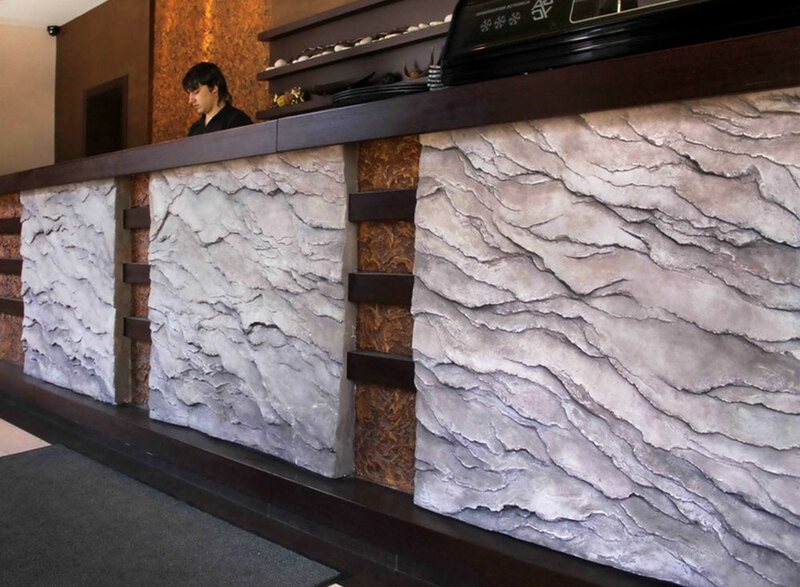 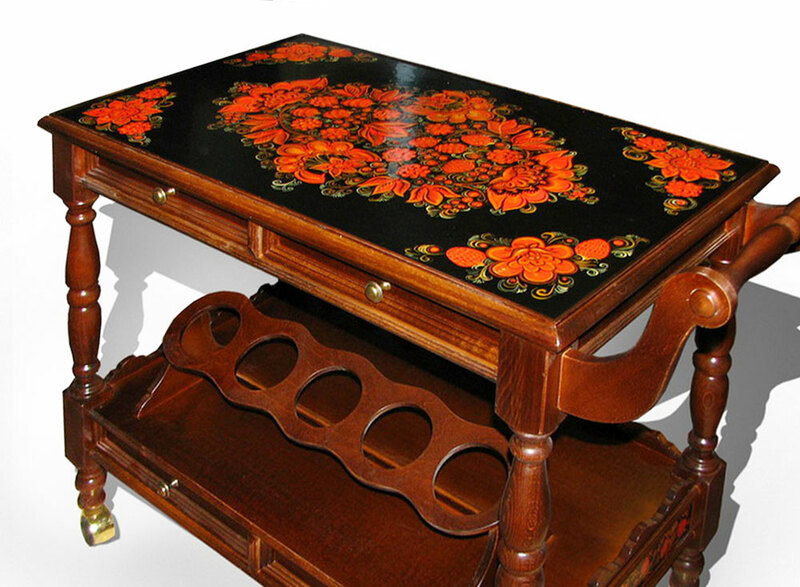 The mural was painted on a tiled wall using special swimming pool two-component, epoxy based paint. 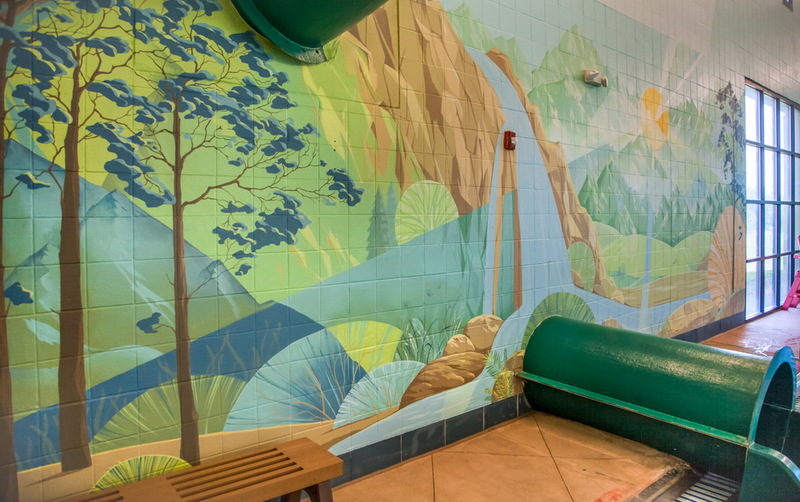 This paint doesn’t require any protective coat and withstands harsh pool chemicals, high humidity, and mold. 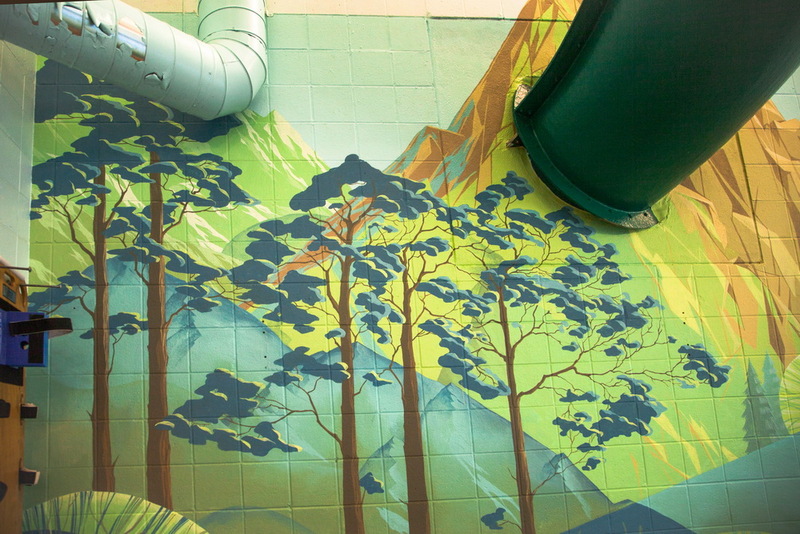 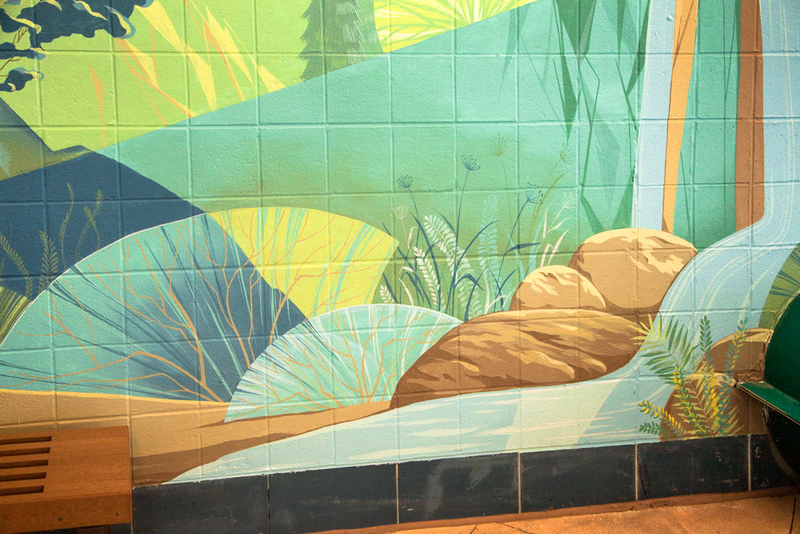 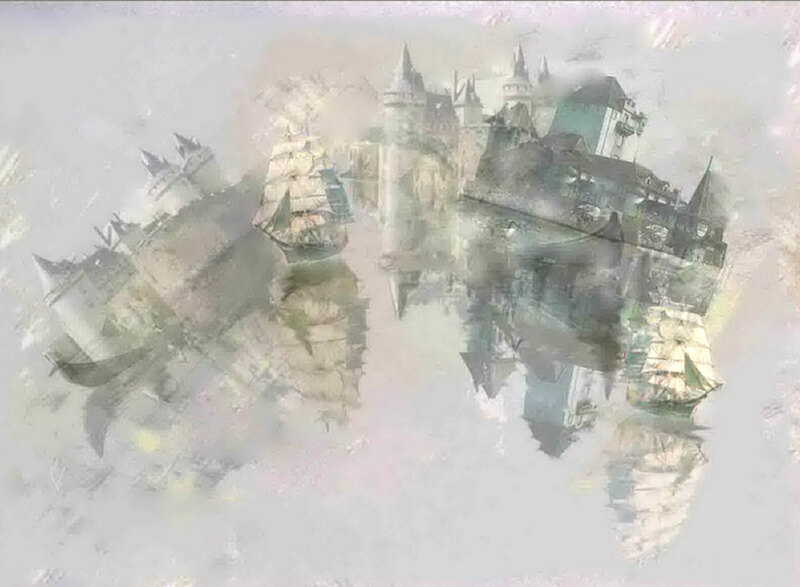 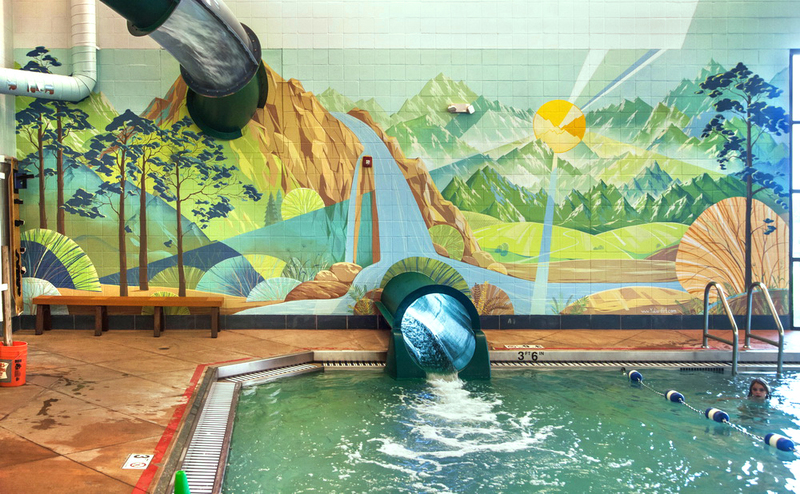 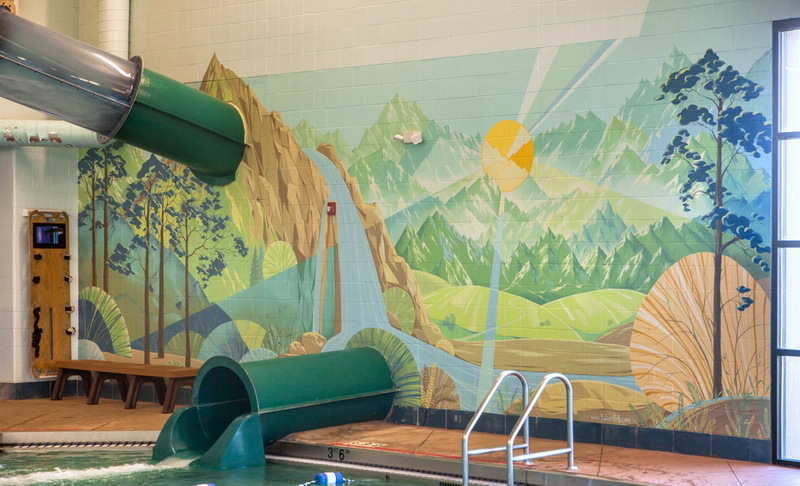 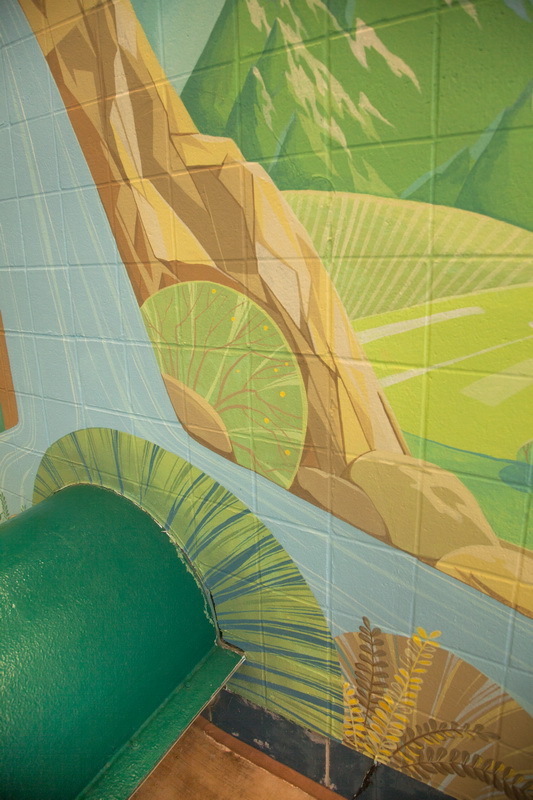 A waterslide is incorporated into the mural design. 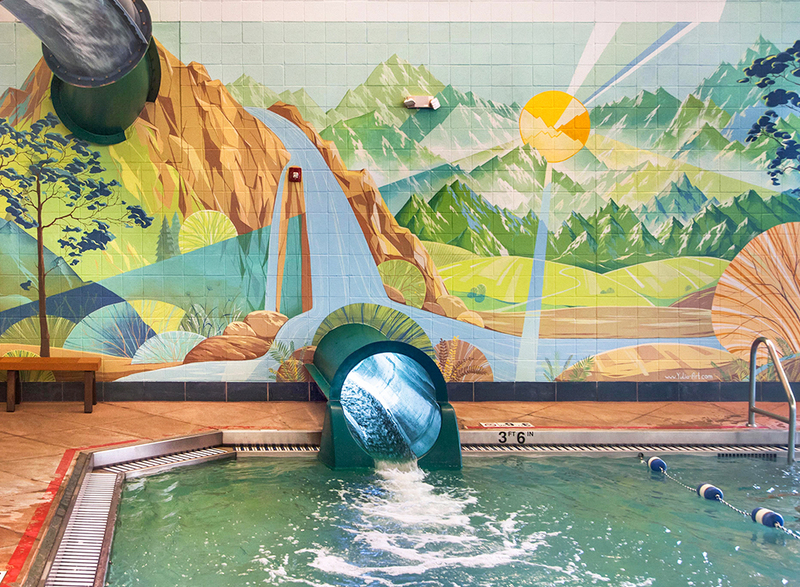 Water falling from a rock on the image unites with the slide’s real water into one waterfall. 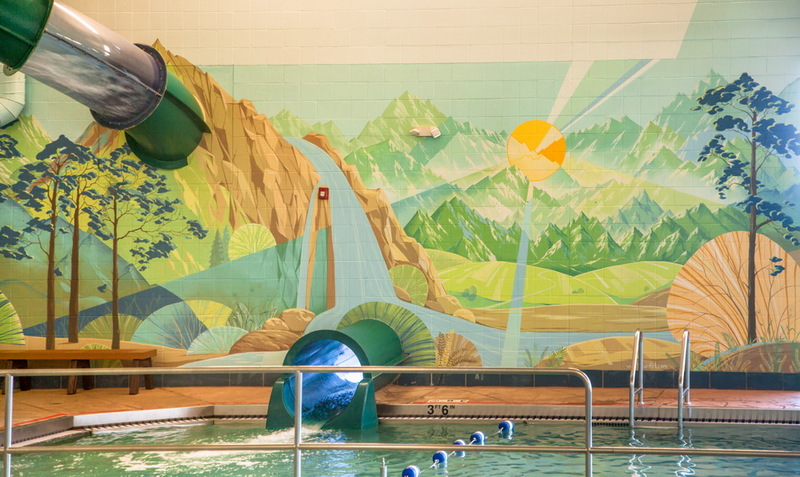 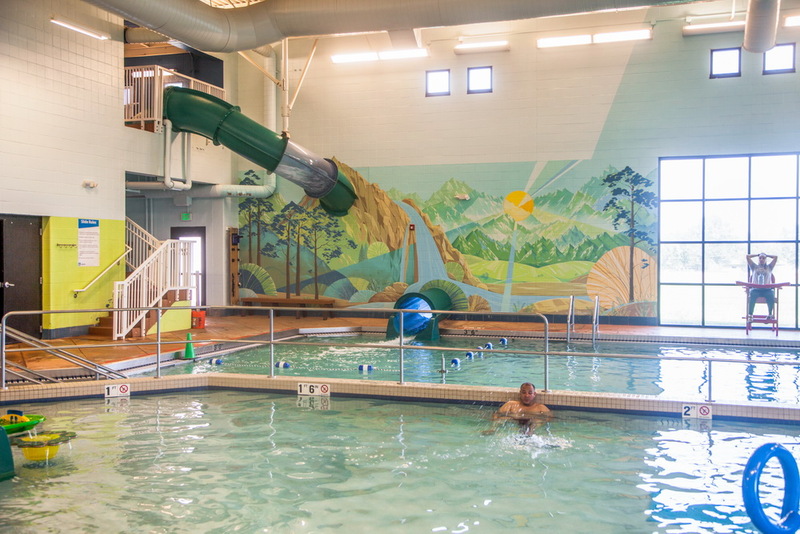 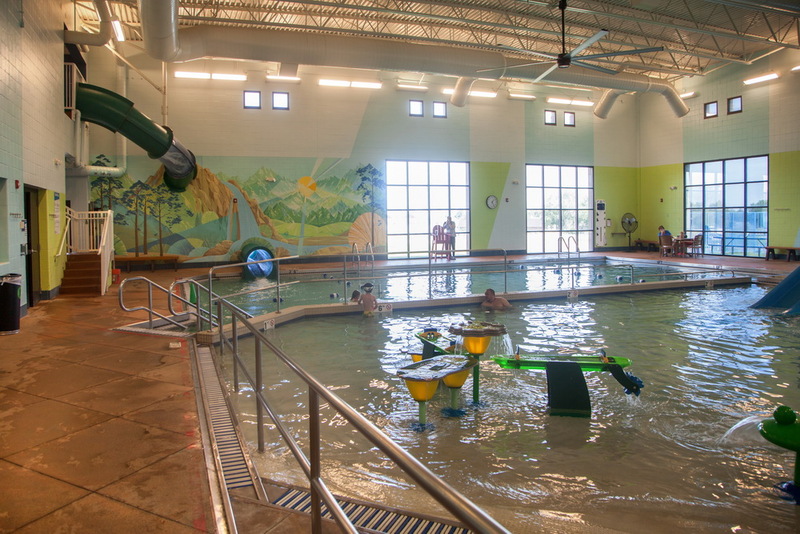 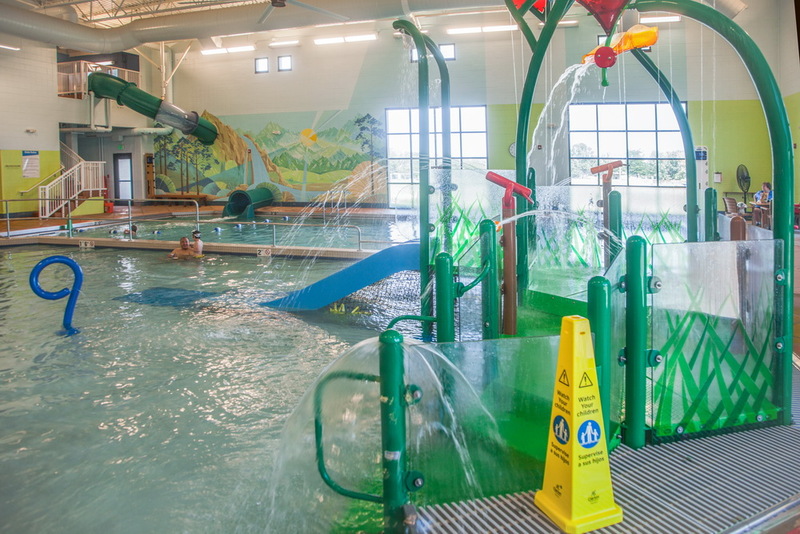 The color scheme of the mural is matched with the color design of the whole pool and its equipment. 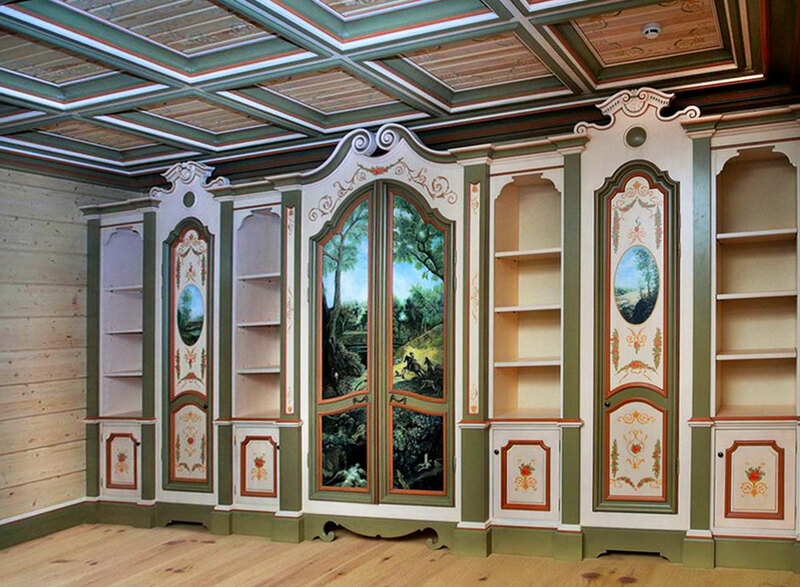 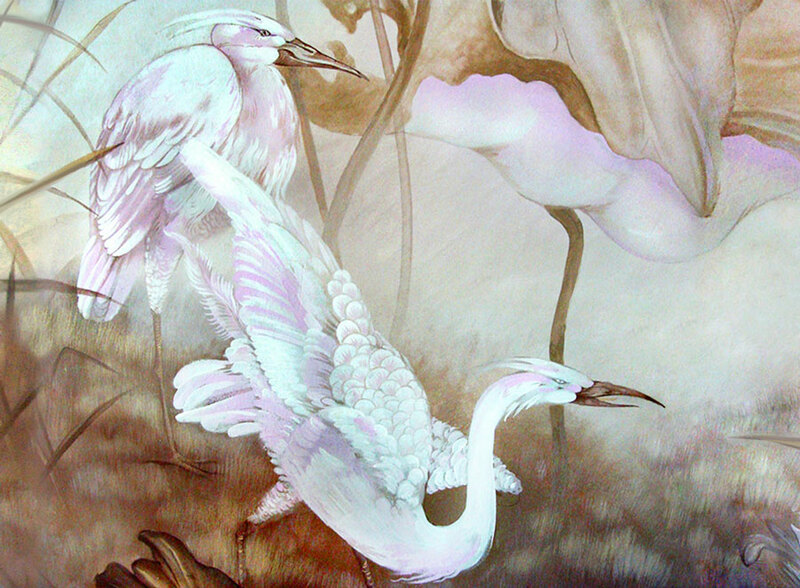 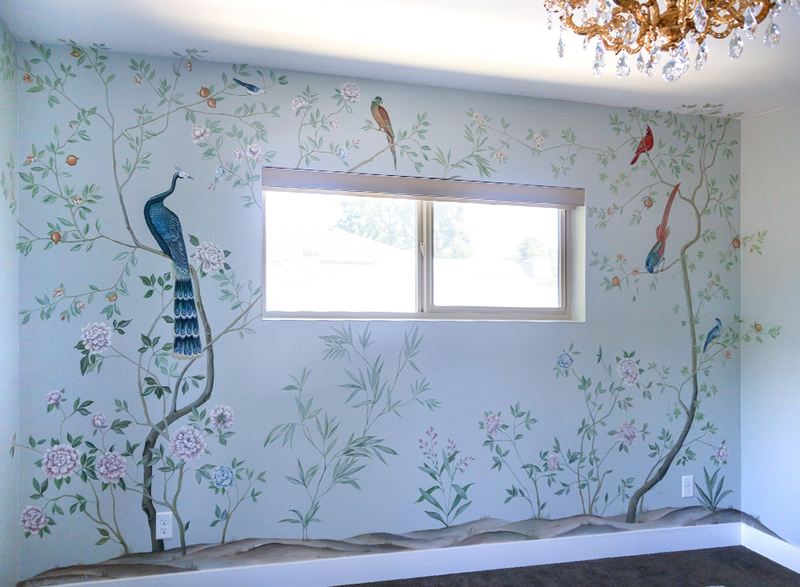 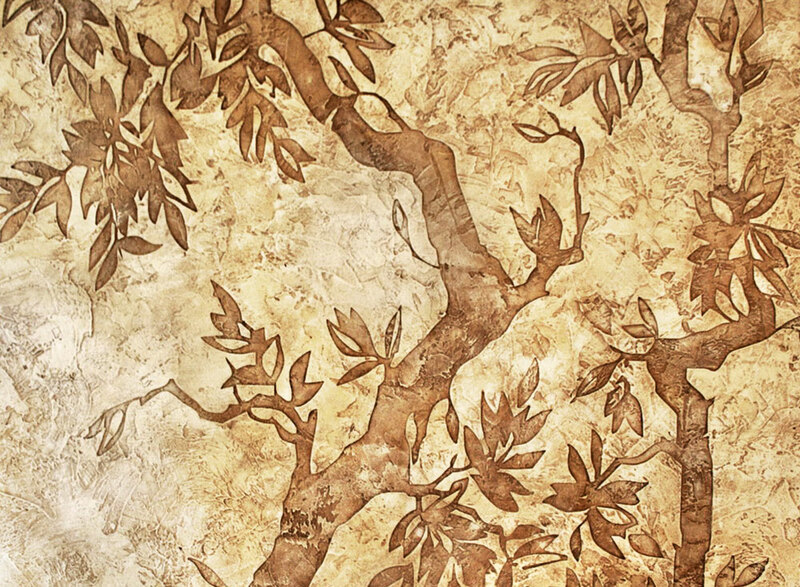 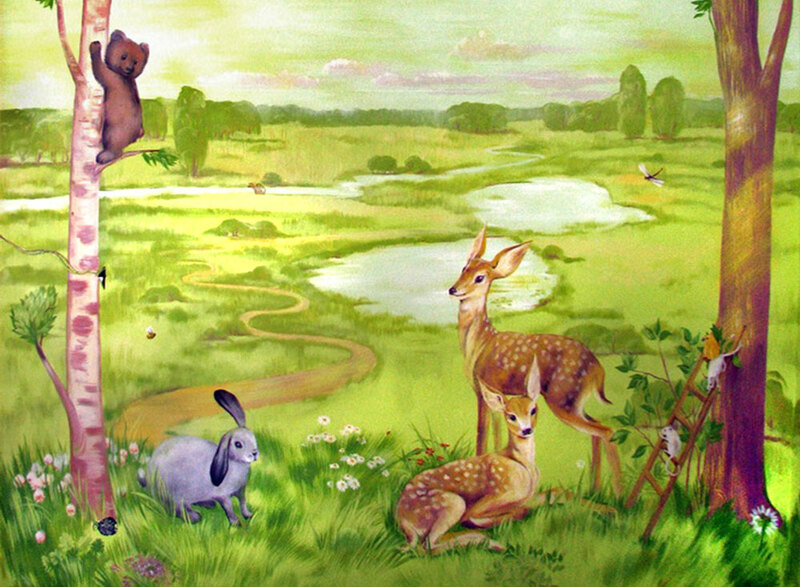 My original design for the mural included animals and birds. 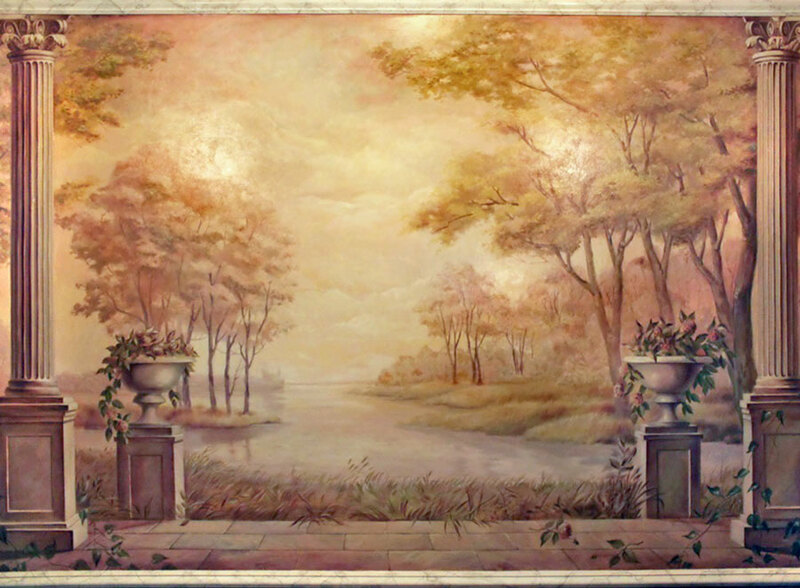 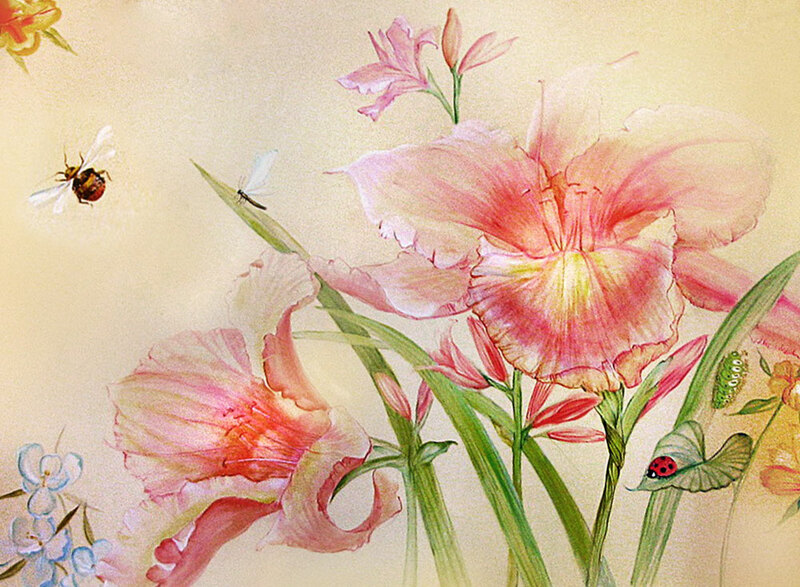 But in the end, it was decided to have just the view of nature, without wildlife.